With the final coaches poll comes a bonus. 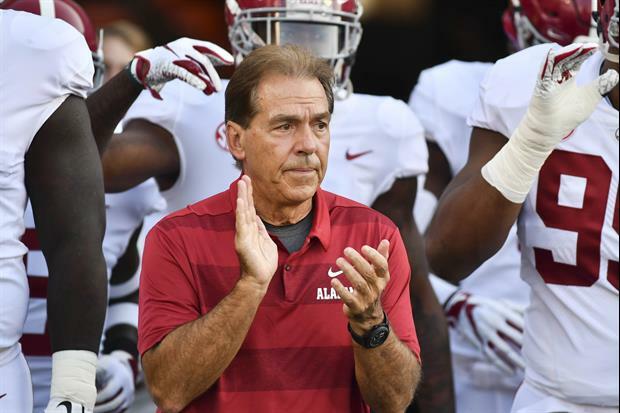 The ballot of each voter is published and Nick Saban’s has an interesting order. The Alabama coach voted Clemson No. 1 and his Crimson Tide No. 2, according to the USA Today database of the ballots. Notre Dame was No. 3 and Oklahoma, the Orange Bowl opponent, No. 4. Alabama was No. 1 in the final poll and received all but two first-place votes. Didn't he say UGA was top 4? This poll doesn’t impact the playoff though does it? Funny that he didn’t have that kind of “integrity” when voting for OSU in 2011. If osu had not lost to Iowa state he probably would have. There was no objective reason to place Stanford at 3 and OSU at 4. Nick voting like 95% of the sane people would vote.